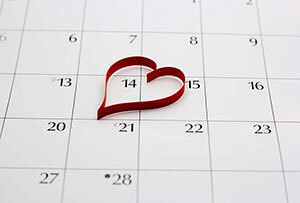 Hoping to wow someone on 14 February? Here's what you need to be admired. Everyone wants to come across as relaxed, confident and likeable. If you're not, you have two options: take a journey of personal discovery, or learn how to fake it. For the latter, try this body-language training app. Its diagrams, tips and quizzes will also help you spot a fellow liar a mile off. Subtly take a photograph of the person you're meeting and analyse it in the toilets. Just don't be surprised if they're not there when you get back. You shouldn't judge a book by its cover, but you can still judge a man by his shoes. Laurence Olivier said to build character from the shoes up, and there's no firmer foundation than Church's, which has been providing kicks for the great and the good for centuries. Wow your prospect with a pair of finest Oxfords, and treat your soles to boot. The Chetwynd is finished with exclusive waxes for style. Just make sure you look after them. Nothing impresses like a home-cooked meal, but who really has the time? Invite your prospect round for a rapid-fire gourmet experience with a little help from TurboChef. 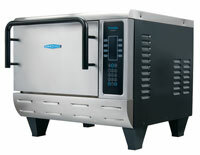 It combines high intensity convection heating with microwave energy for oven-quality in a fraction of the time. A rack of lamb? Four minutes flat. Fresh asparagus? Forty-five seconds. Just don't get distracted by small talk, unless you want to immolate your meatballs. 'You only have one face,' the woman hard-selling this pricey, organic cleanser told me. If only she knew. Exfoliators work by removing a layer of dead skin and 'impurities', giving you a healthy glow and stimulating production of youth-promoting collagen. But the same can be said of shaving, at a fraction of the cost. And while Gratiae is gentle on the skin and smells nice, it has yet to restore this withered reviewer's elfin visage.